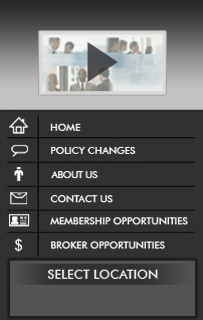 In 2004, Alternatives Insurance® Group was formed as an agency membership organization. Each Alternatives Insurance® location is successfully operated and managed by an individual committed to you, our client. In most cases, the manager owns the local St Louis metro area agency location. As Alternatives Insurance® Group members, the managers understand success is based entirely on your satisfaction. The Alternatives Insurance® Group, along with our insurance carriers and affiliates, provide the necessary tools and products allowing each member to focus on developing a coverage package tailored specifically for your needs. Our full line of products now include automobile, homeowners, watercraft, motorcycle, recreational vehicles, life, health, and commercial markets for every need. Our national and regional insurance carrier partners include AAA, Travelers, Safeco, The Hartford, Chubb, Progressive, EMC, Madison Mutual, Kemper Preferred, West Bend and dozens more. Whether you are a single person starting out in the real world or a retired empty nester, we offer the necessary products to fit you. Contact your local Alternatives Insurance® location to learn more.